The Kluane Lake research station is adjacent to the world's largest non-polar icefield and has amassed 50 years of unique research into climate change. Its scientists have won a brief reprieve from federal cuts and are hoping for something more lasting. One of Canada's oldest and most celebrated scientific research stations is racing against the clock to avoid having to close its doors. The Kluane Lake Research Station, located in the Yukon adjacent to the largest non-polar icefield in the world, is one of a handful of scientific outposts to have its funding cut by the federal budget. The Kluane Lake facility, which celebrated its 50th anniversary last year amid a $2-million renovation, was told in the spring that federal funding for its operations would be immediately discontinued. CBC News has learned that its scientists unleashed a flurry of phone calls and letters that resulted in a moratorium on the decision and an extension of money to the cash-strapped station, administered by the University of Calgary's Arctic Institute of North America, that will keep it alive for several more months. But if no new sources of funding are secured by March 2013, the legendary pied-a-terre for northern field work may be forced to close. "We have to explore and develop new funding models to keep the doors of the station open if the money the federal government was providing isn’t restored by that time," says Peter Dawson, the acting executive director of the Arctic Institute. Scientists at Kluane Lake say they're hoping politicians in Ottawa will have a change of heart. "The Conservatives have been saying 'Don't worry, it's just a moratorium, we're going to get something in place,'" says Sian Williams, one of the base managers at Kluane Lake Research Station. "We're planning to hold them to that because that's the only hope these research stations have across the North." 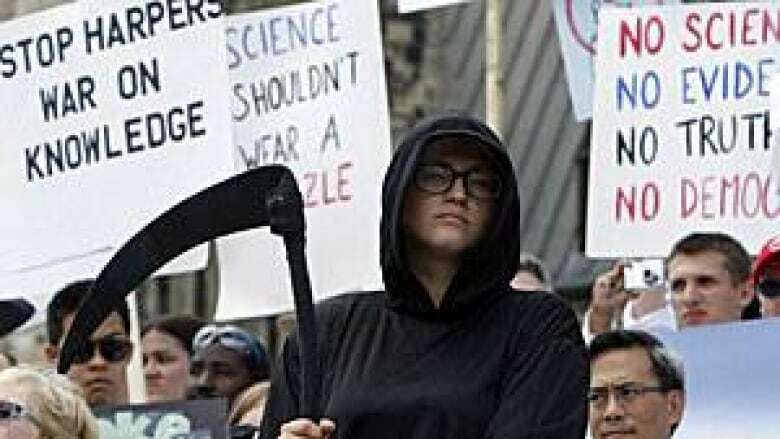 The recent budget cuts in Ottawa have resulted in cutbacks worth $30 million a year ($15 million this current year) to the Natural Sciences and Engineering Research Council (NSERC), which has a $600 million annual operating budget. To achieve these, NSERC has placed a moratorium on new grant applications for its approximately $30-million a year Major Resources Support program, which scores of small research stations and scientific organizations across the country rely on for their survival. The scientists at Kluane Lake say their facility is of inestimable value because it sits in one of the world's most unique open-air laboratories. Its windows look out onto Yukon's Kluane National Park, a 22,000-square kilometre wilderness area that boasts Canada's highest mountains and a segment of the largest non-polar icefield on Earth. Kluane and adjacent parks in British Columbia and Alaska together also form the largest protected area on the planet — a UNESCO World Heritage site. 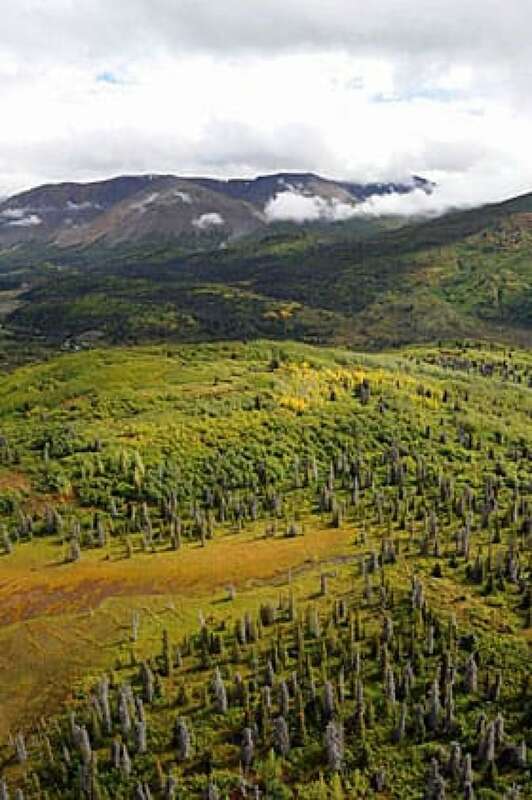 Scientists say this hyper-sensitive region of multiple ecological zones contains a wealth of plants, animals and glaciers that make it an ideal test tube to measure the changes taking place in the Earth's climate. The impact of these cuts, they argue, will damage the country's ability to train world-class scientists and will also impede the flow of timely environmental data crucial for sound policymaking. "What we're getting out of the current government is an attitude of 'We can't do this and we don't want to do this. It's not in our best immediate interest,'" says Richard Bello, a climatologist in the department of geography at York University in Toronto. "I find it a terribly myopic view of how we should be running the country and what our objectives should be." "Having a 50-year research station here gives us the baseline data to look at how things have been changing and will continue to change into the next century", says Williams. "A lot of the really important ice in the world is in these non-polar glaciers, and that's a major source of fresh water for a lot of the planet. We're one of the only research stations looking at that." Prime Minister Stephen Harper had a first-hand look at Kluane and its icefields only last August when he flew in as part of his now annual Northern tour. The prime minister was also overseeing a $9-million federal investment in the national park's visitors centre and a nearby cultural centre for the Champagne and Aishihik First Nations. 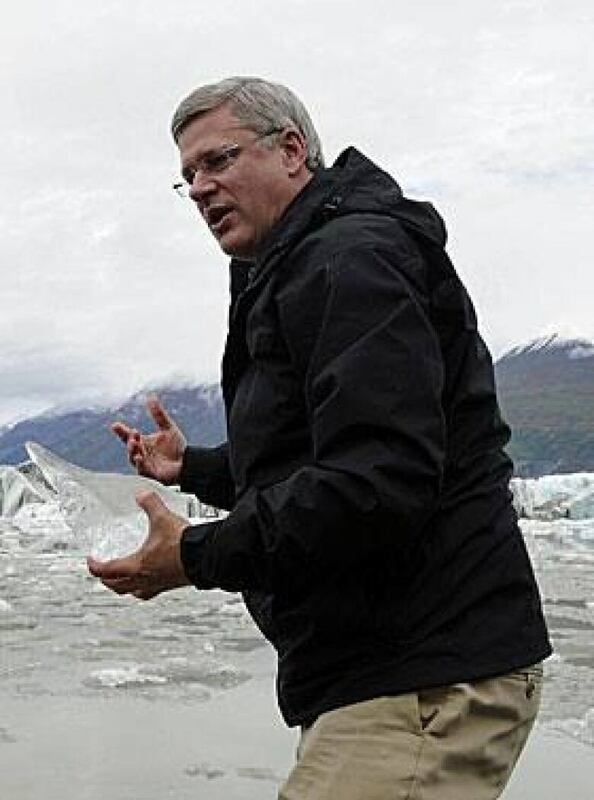 Caught up in a local controversy over Environment Canada's plans to eliminate water monitoring in the North, the prime minister quickly reversed that decision when he was in Kluane last summer. But the NSERC cuts to the research facility would come just six months later. Research at the site of the Kluane Lake station actually goes back to 1949 when its parent organization, the Arctic Institute at the University of Calgary, began to survey what was then a completely unknown corner of Canada's wilderness. 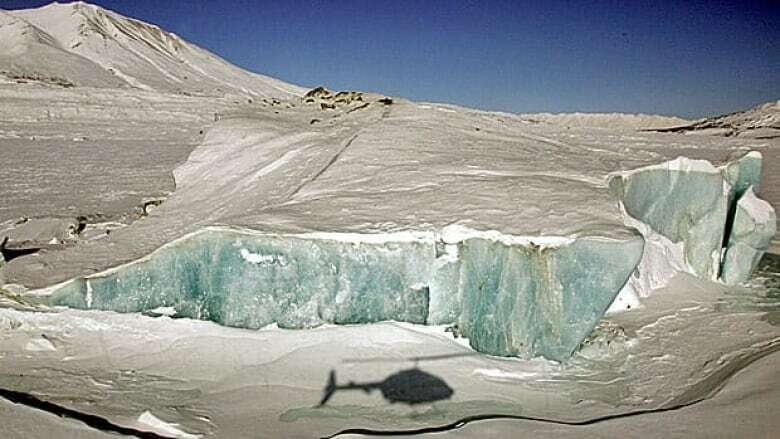 Civilian and military scientists set up high-altitude glacial camps along the slopes and ridges of Mount Logan, Canada's highest mountain, to study, among other things, the physiological effects of extreme altitude on human beings. Set beside a small airfield on Kluane Lake with a stunning view of the Slims River Valley, the base has since acted as a way station for natural scientists from across Canada and the U.S., working in every discipline. One project, spanning more than three decades and involving the study of ice core samples from glaciers, has managed to build a 10,000-year climate record going all the way back to the end of the Ice Age. That legacy, and the importance of their work, is driving scientists at the station to turn over every stone in an effort to find the money to keep the facility running. Williams says she and her colleagues are looking at the option of industry investing in the facility in return for access to its database. They're also trying to secure funding from the Yukon government. Despite a sense of hope and optimism, the feeling of Kluane Lake's scientists of having been abandoned remains palpable. "It's a federal responsibility to support science in Canada," says Williams. "What goes on here has wide ranging implications for the entire country — including keeping our scientists at a world-class level."